1) Which batsman hit 6 sixes in an over in this World Cup ? 2) Which bowler took 4 wickets on the trot in this World Cup ? 3) After India's loss in the World Cup which player announced his retirement from DOIs? 4) How many teams are participating in this World Cup ? 5) How many matches are to be played in the group stage & the Super 8 ? 6) Which Australian fast bowler is not a part of the current team ? 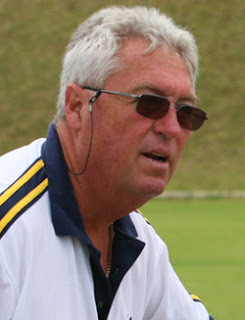 7) Which police officer is investigating the Bob Woolmer murder case ?